The Federal Highway Administration (FHWA) Research and Technology (R&T) Program furthers FHWA’s Office of Research, Development and Technology’s (RD&T) goal of ensuring transparency, accessibility, and responsiveness of RD&T for all stakeholders. 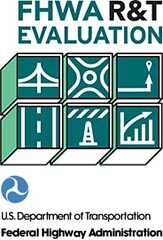 This report summarizes the 16 evaluations being conducted by FHWA’s Office of Corporate Research, Technology, and Innovation Management. Summaries for completed projects include initial findings as well as background on each project. All information in this report is current as of October 2016. This report should be of interest to program managers, office directors, and executives within FHWA as well as others within State transportation departments and portions of the Federal Government interested in the outcomes and impacts of FHWA research. 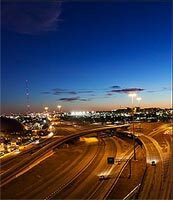 Federal Highway Administration (FHWA) provides high quality information to serve Government, industry, and the public in a manner that promotes public understanding. Standards and policies are used to ensure and maximize the quality, objectivity, utility, and integrity of its information. FHWA periodically reviews quality issues and adjusts its programs and processes to ensure continuous quality improvement. This report summarizes the 16 evaluations being conducted by the Volpe National Transportation Systems Center on behalf of FHWA’s Research and Technology (R&T) Program. The FHWA R&T Program furthers the Turner-Fairbank Highway Research Center’s goal of ensuring transparency, accessibility, and responsiveness of R&T for all stakeholders. Six evaluation teams have finished data collection and written reports. One team has delivered a final phase I report and is preparing its phase II report. One team has delivered a draft final report. Of the 10 evaluations currently in progress, 7 teams have submitted final evaluation plans, 2 teams have submitted draft evaluation plans, and 1 team has submitted a preliminary evaluation plan.